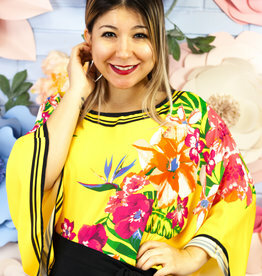 This wonderfully vibrant jumper is perfect for summer date nights! Our Gabriela Jumper features a smocked detail in the chest area, a gorgeous tropical print, and a halter neckline. Pair this jumper with some sandals to complete your look.